There are so many interesting Fun Frog Facts for Kids! 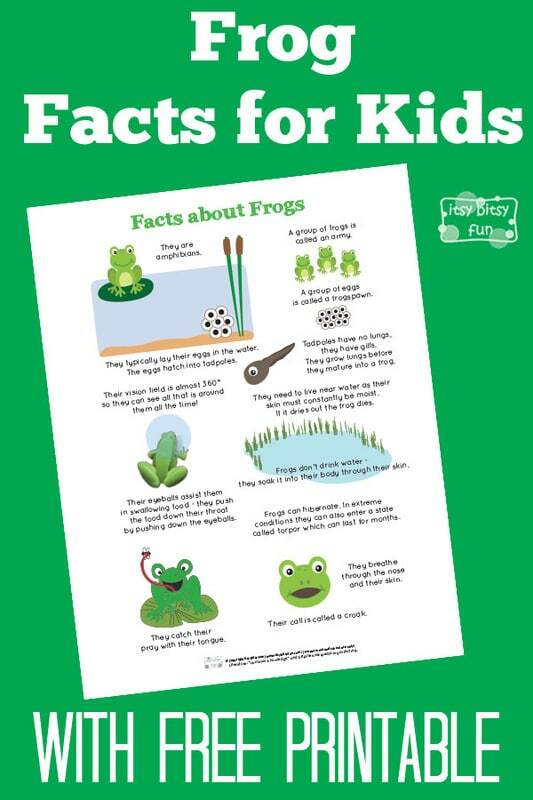 Let’s learn with facts about frogs for kids! So I made a life cycle of a frog worksheets a few days ago and I have to admit their life cycle is pretty fascinating, more fascinating than most other animals. However there are a ton more Frog Facts for Kids about these amphibians that your kids (and you) just need to know (as some are downright odd). So let’s do some hopping and learn about frogs! They typically lay their eggs in the water. A group of eggs is called a frogspawn. Tadpoles have no lungs, they have gills. They grow lungs before they mature into a frog. Frogs don’t drink water – they soak it into their body through their skin. They breathe through the nose and their skin. They need to live near water as their skin must constantly be moist. If it dries out the frog dies. They catch their pray with their tongue. Their eyeballs assist them in swallowing food – they push the food down their throat by pushing down the eyeballs. Their vision field is almost 360° so they can see all that is around them all the time! Their call is called a croak. Frogs can hibernate. In extreme conditions they can also enter a state called torpor which can last for months. Free Printable PDF with Ant Facts! 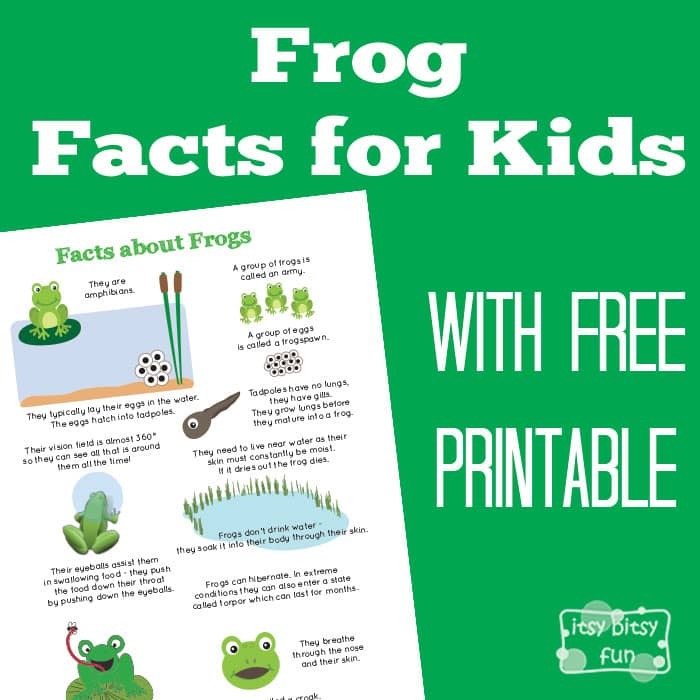 Get your free printable Frog Facts for Kids here.